Unit features back and end stops on the work surface. 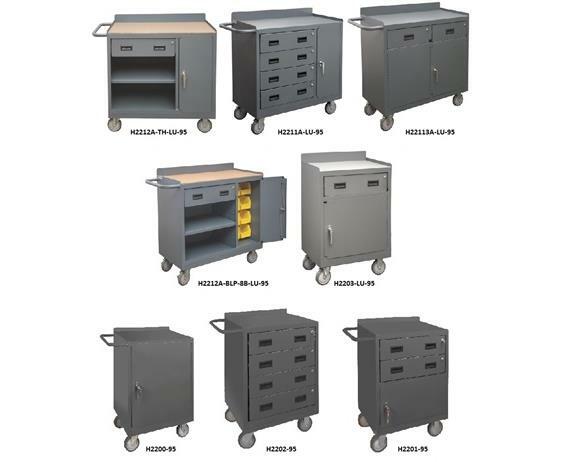 Bolt-on 5 x 1-1/4" polyurethane casters, 2 swivel and 2 rigid with side brakes. 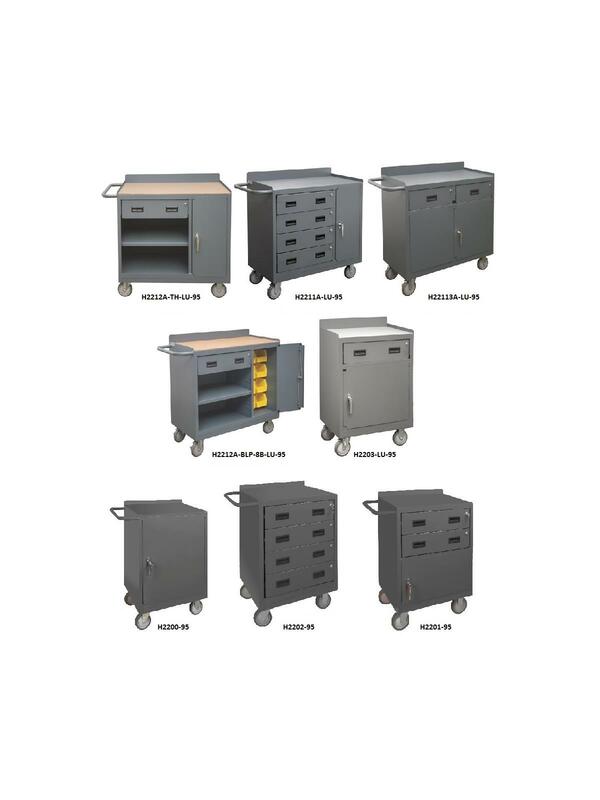 Cabinet compartment comes equipped with one adjustable shelf and a keyed handle with 3 point locking system. Models with -TH in the part number include a work surface with 1/4" thick tempered hardboard. 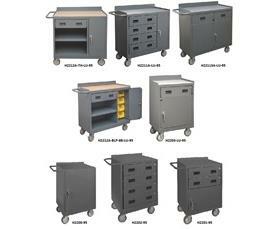 Drawers measure 20-7/16" W x 14-11/16" D x 5-7/8" H. Ships fully assembled and ready to use. FOB Shipping Point. 36 x 18 x 37-3/4"36 18 37-3/4"